Review : Queen Helene’s Jojoba Hot Oil Treatment! Each tube contains 30 ml of Jojoba oil blend. My hair is of medium length and I decided to use a full tube for each application. It’s easy to use. All you need to do is to place the tube in a cup of hot tap water for one minute. Then twist off the tip to open. The twisted cap can be inverted and used to seal the tube again. It has a pleasant smell. It says on the packaging that it should be massaged through the hair and then covered with a shower cap for 3 minutes. I think 3 minutes is way too short so I usually leave it on for 30 mins. • Before – I have dry & lackluster hair in this pic. • During – On application, it doesn’t feel like an oil. Such a different texture it has. It’s a slightly viscous yet runny kind of texture. It’s not sticky at all & is easy to apply. It gives the hair a wet look rather than an oily/greasy look. • After – After washed with a shampoo & conditioner, I’ve air dried my hair and it has an insane kind of shine & softness. Hope that shows clearly in the pic. It’s not oily at all. 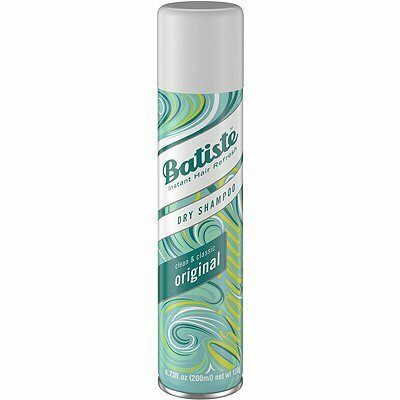 Overall, I love this product & highly recommend it. I did this treatment once a week. I actually bought this online, from US on iHerb.com. Currently it shows as out of stock. The shipping is super fast as usual and reached UAE in a week (by post). Price : $3.27 which I think is super affordable since each tube cost only a little over a dollar! My New Year Resolutions for 2017! Happy new year to all of you & here is wishing you all a wonderful, fulfilling, prosperous & healthy 2017! ● Lose weight – Probably on everyone’s list & the top one too.. I am currently 77 kgs. By the end of 2017, I hope to reach 65 kgs. Back in 2014, the doc informed me that I can’t conceive unless I lose weight and in a period of 1.5 years I reduced my weight from 83 kgs to 68 kgs. Here is my transformation pic even though the last pic is when I was 72 kgs. I went on to lose 4 more kgs but didn’t click a pic. So yeah, if I put my mind to it, I know I can do it. Side note – My fav shopping site, iHerb has a ‘New Year New You’ special deal happening, for a limited time. It offers extremely low prices on Sports, Fitness, Weightloss & Athletic products. They ship worldwide from US. ● Drink more water – I drink only about a couple of glasses a day right now!. It is soo less. I wish to start with 2 litres a day and then increase it to 3 litres. Water helps flush out toxins & brings in overall wellness. I am so lazy when it comes to reaching for that cup of water. I hope to beat it, this year. ● Blog more – Being a mom is more tough than I ever imagined. I literally have no time or I am failing fantastically in time management. I have been slacking so badly in putting up posts. I wish to post consistently from now on. ¤ Tigi S Factor hair moisture serum – While searching for a good hair serum, I came across this one because of the many rave reviews it has earned. Detailed review later. ¤ Cedarwood essential oil– Known to help in strengthening hair and fighting hair loss. I bought this online and it will be featured in my next iHerb haul. ¤ Dessata detangler brush – My hair gets so tangled, I am not even kidding when I say it resembles a bird’s nest at times. Again, wait for my detailed review coming up soon. ¤ Shampoo & conditioner from Dove’s Oxygen Moisture line – Been loving this recently and I intend to make it a part of my regular haircare routine in 2017. These were sent to me for review but rest of the products mentioned above were purchased on my own. ● Enjoy motherhood more – Being a mom to my son, Eshaan, is such a blessing. But being someone who is blatantly frank, I would be lying if I said motherhood has not made me tired, irate and generally mad!. But I need to ‘Keep calm & be a patient mom’. Lol. No doubt about it, he is adorable and so so naughty. He is nearly 14 months old. I love him soo much. Here is his pic, since you guys have never seen him before… God bless him, touchwood..
Review : Banjara’s Hibiscus Hair Care Powder! I am very much into haircare right now. I am searching for & trying new hair products, to give maximum support and care for my hair. That’s how I found out about Banjara’s Hibiscus powder. Hibiscus flowers are pretty known for their power to promote hair growth. Actually one can even make use of the hibiscus flowers growing in their gardens to make a DIY hair mask. There are tons of tutorials on how to do that, on YouTube. I don’t have hibiscus flowers at my home though and on my recent trip to the shopping mall, I found this pack which I thought would be great to try out. Hibiscus is effective in combating hair loss, dandruff and scalp irritation. It is also used as a remedy for premature greying. The herb acts as a good conditioner and moisturizer for the hair – making it soft and shiny. The pack comes with 5 sachets in them. Each of these packs contain 20 gms and it’s packed in such a way for easy usage. For each application, you can open one sachet and use it’s complete contents. I have seen bulk packs of this powder long before. In such cases, you need to transfer the powder into an airtight container so that it doesn’t solidify into little blocks over time. Banjara’s easy packaging helps to avoid this inconvenience. The hibiscus powder is brick red in color. 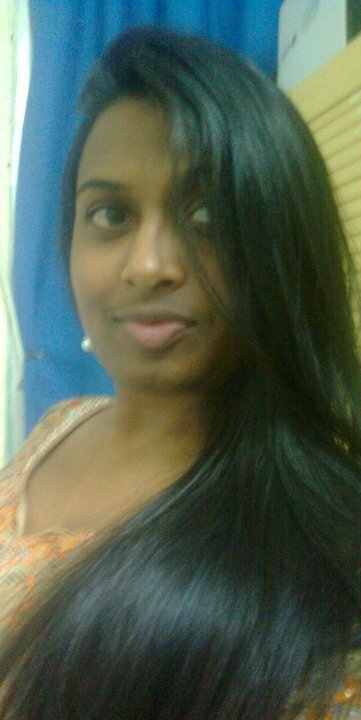 I have long hair now (just above my hips) and 20 gms is enough to cover my scalp and hair. If you have short hair, a sachet is good for 2 applications and if you have very thick hair, you might need to use 2 sachets each time. Though my hair is long, it’s fine in texture. To use this, simply transfer a sachet’s content into a bowl and add just enough water to make it into a thick paste (or a level of consistency you personally like). The paste is a dark colored one. Apply it to your hair for 20 minutes (that’s the instruction on the packaging) and rinse off with water. I usually apply it for 40 mins. It’s herbal and putting it on for extra time won’t hurt. I don’t use shampoo while washing it off. Also, while applying it, part your hair section by section and apply it. This way you will cover your hair and scalp completely. Though the package suggests using it thrice a week, I been using it twice a week only. It has a light, natural smell that stays on lightly on the hair for a few hours. I have completed one entire pack now (five applications). One of the main results I noticed after using this is that my hair is more black in color and has a glossy shine to it. Overall, I am in love with this and I am sure to check out the other hair care powders by Banjara’s. Price : Rs. 90 (AED 5.07) for 100 gms. I bought this from Navaratna Hypermarket, Moonnupeediga, Kerala. This product can be found in any leading supermarkets.